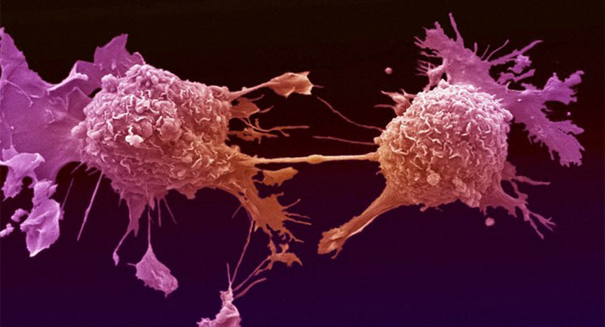 Newly approved drug works with the immune system to fight cancer cells. A drug known as pembrolizumab, which is sold in the United States as Keytruda, has shown in a new study to be more effective against lung cancer than chemotherapy, says an article on upi.com. The drug is making the headlines because it was the drug used in the successful treatment of former President Jimmy Carter recently. The drug was just approved for use by the Food and Drug Administration (FDA) in October of this year. It is to be used for a specific group of non-small cell lung cancer patients that also have a genetic mutation. The study, conducted by the University of California at Los Angeles (UCLA), involved 1,034 patients and was conducted over a period from 2013 to 2015. The subjects were randomly administered one of two dose sizes of pembrolizumab, or docetaxel, a chemotherapy drug. The findings show the overall survival rate was the same between the chemotherapy drug and the lower dose of the pembrolizumab, but the higher dose of the new drug was significantly more effective for treatment. Pembrolizumab works by targeting a protein in immune cells that is exploited by cancer cells, enabling the immune system to react more strongly in attacking the tumor cells. Dr. Edward Garon, a researcher at UCLA, said in a press release, the the continuation of refining and expanding the selection of patients who will benefit from this type of therapy, doctors are making profound changes to the way these types of patients are being treated. He also added the new information shows that immunotherapy can lead to a superior outcome with a side effect profile that is generally favorable to traditional therapies. Garon continued the treatment provided real hope of long-lasting responses to treatment without many of the typical toxicities experienced in the larger population of lung cancer patients, and the researchers are excited the findings identified a large group of people for whom immunotherapy is a superior treatment option. Findings of the study were published in The Lancet.